You asked for it... and now we're adding WEEKEND Open Jump Times! Check our Event Calendar weekly for times as they will vary each week based upon availability. Our Weekend Open Jumps are 70 minute sessions of open play time where your child can have the time of their life. Our massive inflatables spark their imaginations to run wild! It’s not only fun for the kids, but provides a healthy workout that burns off excess energy and helps keep them fit. It’s fun for kids of all ages*! *All children MUST be at least 34" to play on our inflatables. PLEASE NOTE: Birthday parties and field trips are NOT permitted during Open Jump events. Space is limited. Purchase your tickets NOW to guarantee your spots! Parents are required to stay with their children for this event. Our Open Jumps are open play time where your child can have the time of their life. Our massive inflatables spark their imaginations to run wild! It’s not only fun for the kids, but provides a healthy workout that burns off excess energy and helps keep them fit. It’s fun for kids of all ages! *Event Availability is subject to change. Please check our event calendar for our most up to date times. Birthday parties and field trips are NOT permitted during Pop In Playtime events. Space is limited.... Purchase your tickets NOW to guarantee your spots! Check the Event Calendar for our times! Check the Event Calendar for All Our Open Jump Events! Bring out the family- while we turn out the lights and turn up the FUN! All Ages are welcome~ MUST be 34" to play on our inflatables. 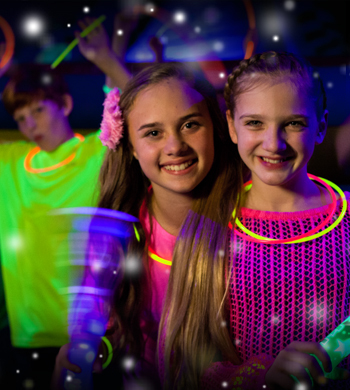 Jump on over every Tuesday night for our GLOW Jump and check out this one of a kind experience-- Pump It Up of Plymouth's GLOW party! 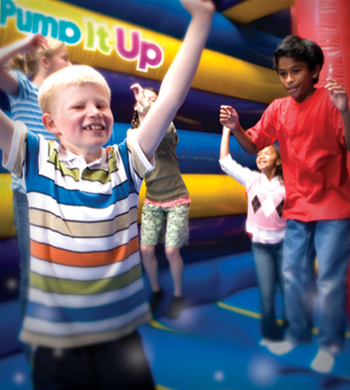 Share some quality time with the whole family and promote physical fitness while bouncing, sliding, and climbing under our amazing special FX lights and our new concert quality sound system... another great event you'll only find at Pump It Up of Plymouth! Dress for the event-- wear white, neon, tie-dye or other glow in the dark clothes! 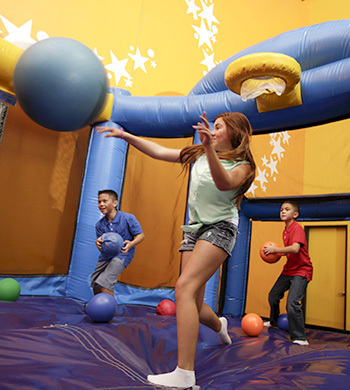 Birthday parties and field trips are NOT permitted during Family Jump Time events. Space is limited to 30 kids & parents are required to stay for this event. Pump It Up of Plymouth is proud to offer our community Special Needs Sensory Night- a safe, fun, sensory-friendly playtime exclusively for kids with special needs and their families. 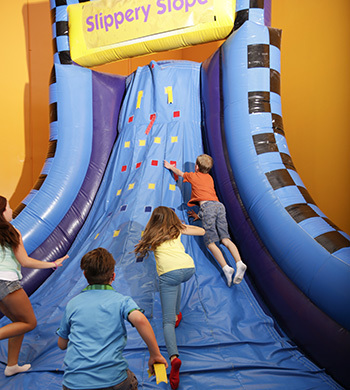 Bring the whole family and have a great time bouncing, sliding, making new friends and playing together in a safe and controlled environment. Pump It Up is the ideal location for support groups, play therapy and social events for individuals with special needs, their family and friends and the professionals who work with them. During Sensory Night our facility is reserved exclusively for special needs children and their families. Supervision is required to monitor the safety of the children, so please have a parent, PCA or care provider accompany your special needs child.